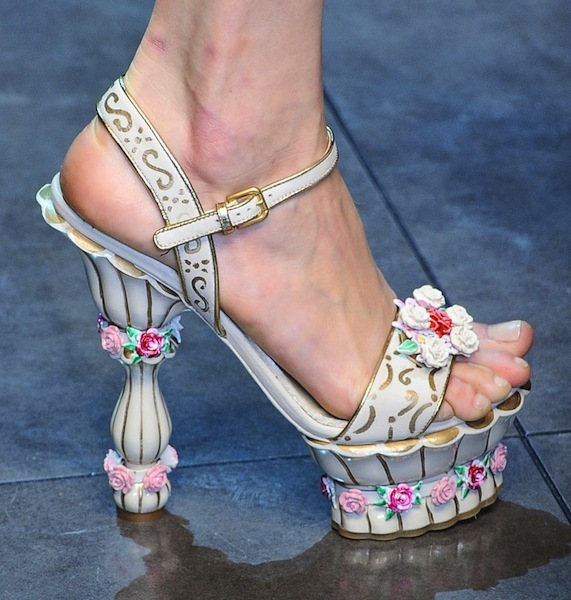 In all honesty I've never been the hugest fan on D&G mainly because I haven't been very aware of their clothing. 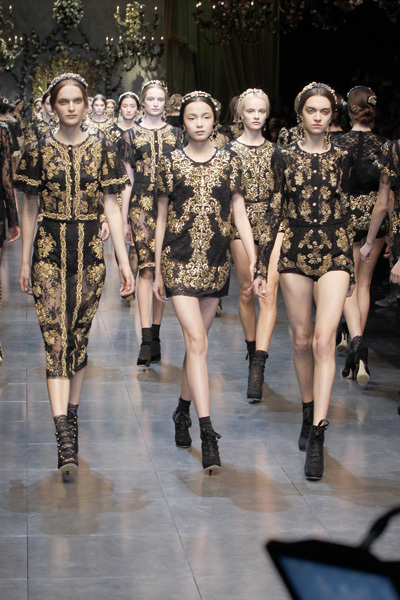 I have fallen in love with their Fall collection - really quite gothic and royal, a lot of detail and embroidery. I absolutely adore the shoes and lace socks as well. Below is my favourite item so far, they're almost like pillars of a grand mansion or something - stunning!